One of my biggest pet peeves when it comes to gaming communities (aside from everyone being better than me at multiplayer) is a perceived hive mind that seems to determine a game’s reception even among those who’ve never played it. It’s always been there, thanks to message boards and the like, but the high influence of certain types of YouTubers seems to have concentrated that effect in recent years. Now, I’m not here to delve into the workings of gaming YouTube. That sounds like a job for someone slightly more driven and slightly less doughy. No, I’m here to defend a game which I believe never got a fair shake thanks to this theoretical phenomenon. In March of 2017, a little game called Mass Effect: Andromeda, which I’ve finished twice and still periodically fire up for multiplayer, kept me hooked the whole way through. So maybe you can imagine my surprise when, after finishing my first playthrough, I decided to see what everyone else thought of this fun game. Needless to say, after a deluge of “BioWare Is DEAD” and “Andromeda Is The Worst Game Since Superman 64” takes flew at my face, I was confused. By the way, yes, I played all the original Mass Effect games many, many times. Mass Effect was and is my favorite game series of all time. So my enjoyment of Andromeda isn’t simply because I’m “not familiar with the previous games”. Just want to get that out of the way. Now, I know the game isn’t perfect; I know there are rough bits; I know there was a lot of drama and turmoil behind the scenes. I’m not going to try to argue for its status as retroactive game of the year (besides, I refuse to let anyone knock Persona 5 off of that). I’m just going to attempt to argue that it’s better than you’ve been told. Let’s-a-go. Mass Effect: Andromeda is a beautiful game. 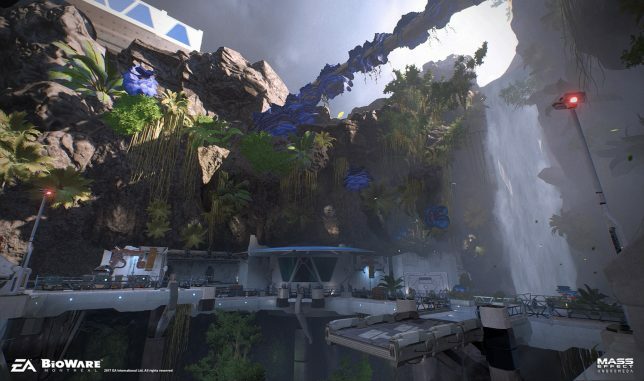 Every planet you explore has photo-worthy views peppered through the entire map. The models and textures are huge improvements over its predecessors. Sure, that’s not enough to sell a game, but it’s a start. 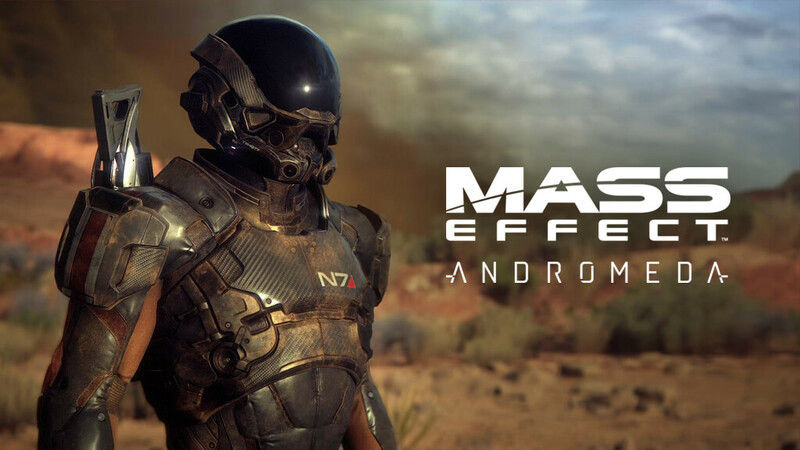 A perfect evolution of the action from the original Mass Effect trilogy, Andromeda boasts faster movement, more verticality, dynamic cover, and a new vehicle. Hey, I’m team Mako for life, so getting to barrel over undiscovered fauna once again was my kind of nostalgia trip. Everything about the gameplay just feels snappier and more accessible. So if nothing else, the multiplayer is worth checking out just to keep that going. Then there’s the animation, which is…well…it’s a BioWare game. There are a fair few mocapped moments throughout the adventure, but the moment-to-moment interactions tend to be rather stiff when compared to other big budget games. People have made the facial expressions into memes, and while some admittedly coaxed a chuckle out of me, many people seem to have let those (comparatively minor) issues overshadow the rest of the game. It’s no worse than other BioWare titles, so let’s cut them a little slack, alright? Even so, in many ways it’s a big improvement over the older games. As I mentioned, there’s more use of motion capture, and it goes a long way. 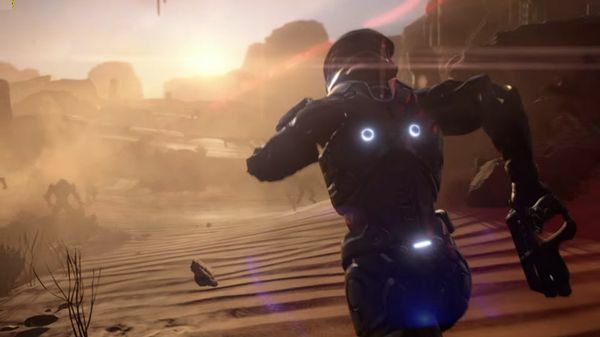 Action-based cutscenes have more punch, and even simple running animations feel better than, for example, FemShep’s saunter in Mass Effect 3. It’s is my favorite game of all time, but man, that swingy step of hers still haunts me. When you talk about cutscenes, you gotta talk about the writing. Now, Andromeda had a famously turbulent development cycle, and one of the more often mentioned casualties of said drama is the dialogue. This brings me to the characters. I flat out love them. From jack-of-all-trades Vetra to old-punch-guy Drack, they all make at least a decent contribution to the series. Dr. Lexi gives us a McCoy-style medic character that the series has been begging for, Peebee is basically Indiana Jones with ADHD, Liam is Liam, and Cora is a fangirl of asari commandos who thinks she’s subtle about it. I could go on, but the word count is getting a bit high and I need to sleep eventually. Suffice it to say, if you have any interest in sci-fi and role-playing games, Mass Effect: Andromeda is worth at least a rent. Honestly, the one silver lining to its unfair (yeah, I said it) treatment is that nowadays you can get it for a steal even when it’s not on sale. I bought it full price and I maintain it was worth every penny. Once again, I won’t claim it’s a perfect game, and I won’t claim it doesn’t have obvious issues. All I’ll say is, give Mass Effect: Andromeda a chance. You might find a hidden gem, or at least a vaguely obscured bit of pretty glass. It’s nice to hear something positive about this game. I’m planning on picking it up whenever I get a computer that can run it, but this reinforces that it’s worth a look. Awesome! I meant every word. Absolutely one of my favorite games from last year (granted, it’s no Persona 5, but that’s an impossible standard to live up to anyway.) Hope you enjoy it! Some surprising answers from the GameCola staff! Don't worry, Mega Man, Crystalis, and EarthBound are all safe.